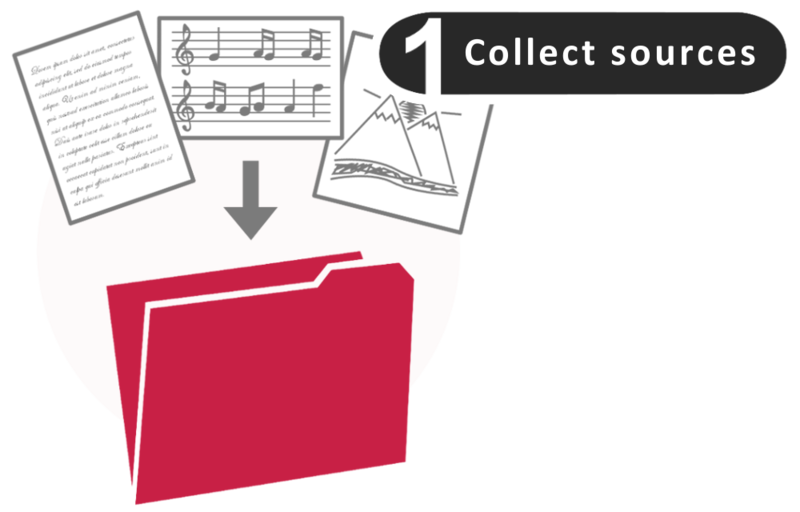 There is a wide range of material that you may provide to your students. 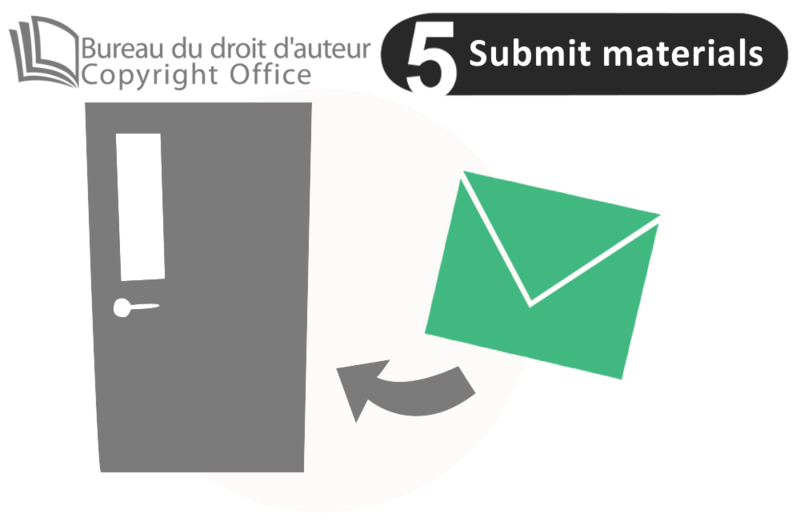 You are encouraged to make use of materials not protected by copyright – see Alternatives to copyright – and your own unpublished materials, for which you do not require any permissions. Alternatively, you should make use of any applicable Exceptions to copyright. Note: if you are unsure as to what you are permitted to do with a work, remember that emailing your students a link, which directs them to the material in question, is always permitted! For more information on creating persistent links, see Linking to full-text articles and e-books. Collect all sources requiring clearance. If you need assistance with regard to locating or making use of videos and images, contact the University’s Media Library. 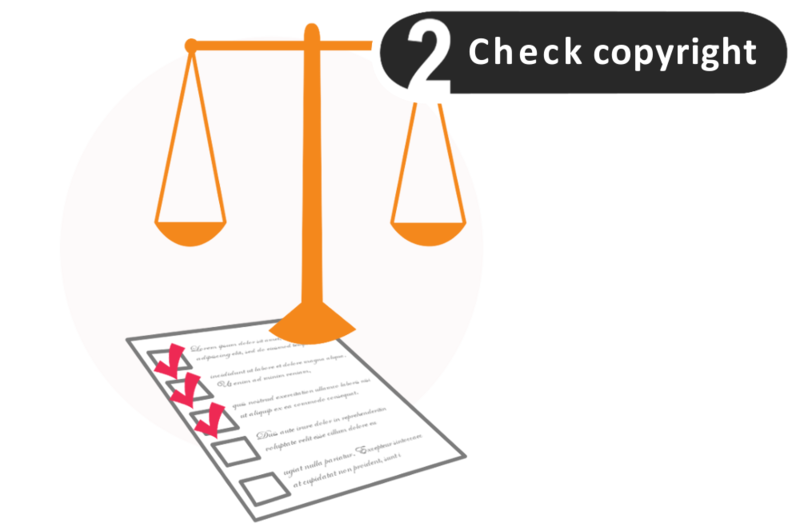 Make sure only to consider materials which are likely protected by copyright – see Alternatives to copyright. 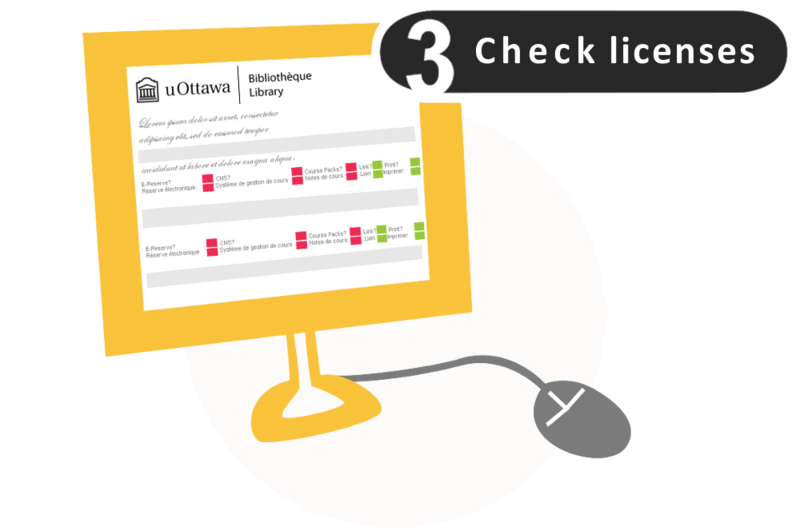 For any materials obtained in electronic format from the Library catalogue, check to ensure that the University’s licence does not prohibit the intended use – see Using electronic resources. 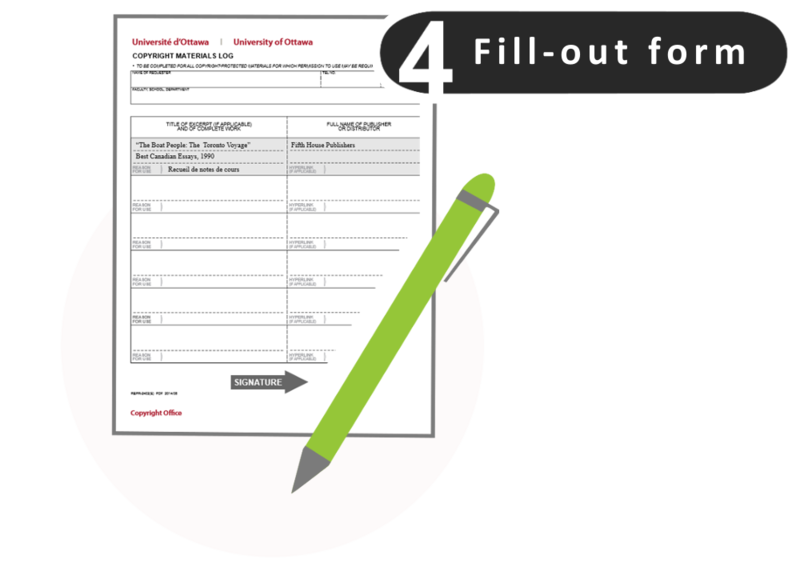 Submit the filled-out Copyright Materials Log to the Copyright Office [contact information below], along with the materials in an appropriate format (print, pdf, email, link). Where possible, you may submit these by e-mail to ddac@uottawa.ca or Dropbox. Once approved you may use your materials in the classroom.